The most popular drug in the world—aspirin—would never have won FDA approval. Fortunately, the active ingredient was isolated in 1828. An Egyptian papyrus from 1500 B.C. prescribes a cooling poultice of willow leaves to treat inflammation; Hippocrates encouraged women in labor to chew willow bark; and Native Americans brewed a bark tea to soothe headaches. But it was not until the industrial revolution that the active ingredient in the willow tree was isolated. 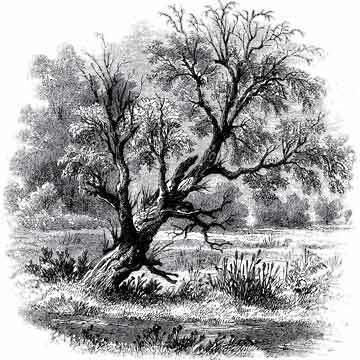 In 1828, Johann Andreas Buchner, a professor of pharmacy at the University of Munich, boiled a sample of white willow bark, distilled the solution and was left with a yellow substance that he named salicin, after salix, the Latin name for willow. Soon after, the compound was purified into salicylic acid, and for years it was prescribed for rheumatic fever and arthritis, though the cure was often worse than the disease: The acid was overwhelmingly bitter and irritated the stomach. Then in 1897, Felix Hoffman, a chemist with Bayer & Co., hit upon a way of tempering the corrosive effects of the compound without losing its benefits. By century’s end, his synthetic derivative—acetylsalicylic acid, or aspirin—was being sold in its modern-day form. Prior to aspirin, pain relief often came in the form of heavy sedatives such as morphine. Mild, nonaddictive aspirin ushered in the era of nonsteroidal anti-inflammatory drugs, all of which inhibit an enzyme that produces hormonelike substances, called prostaglandins, that induce pain, inflammation and fever. Ironically, aspirin likely would never have won FDA approval because it can cause stomach upset, ulcers and internal bleeding. Aspirin can also exacerbate such conditions as asthma and tinnitus and, in children, can trigger Reye’s syndrome, a rare disease that causes brain swelling. Yet despite these many side effects, aspirin is the most popular drug in the world (yearly output, if stacked, could stretch to the moon and back). That’s because it is much more than a painkiller: Most people who take it daily in the United States are seeking to reduce their risk of heart disease and stroke. And of the more than 25,000 scientific papers on aspirin published since its invention, some have reported results that hold promise for the treatment of such diseases as Parkinson’s and preeclampsia (pregnancy-induced hypertension). Research also suggests that aspirin reduces the risk of certain cancers, especially of the colon. But, warns Michael Thun, vice president of epidemiology and surveillance research at the American Cancer Society, the risk of internal bleeding will outweigh aspirin’s possible benefits until the treatment has been proved effective across many cancers. A number of studies are in the pipeline, however, and the search for a miracle drug may lead us right back to our own medicine cabinet.